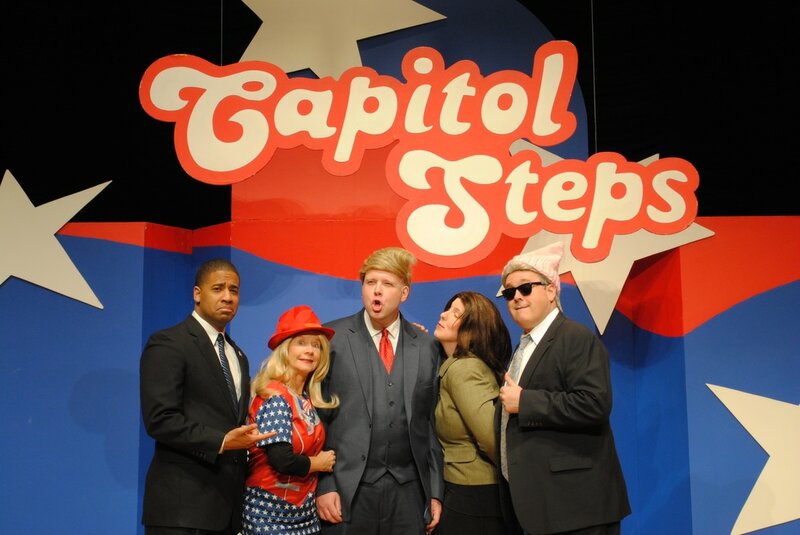 More than 30 years ago, the Capitol Steps began as a group of Senate staffers who set out to satirize the very people and places that employed them. In the years that followed, many of the Steps ignored the conventional wisdom ("Don't quit your day job!"). Although not all the current members of the Steps are former Capitol Hill staffers, taken together, the performers have worked in a total of 18 Congressional offices and represent 62 years of collective House and Senate staff experiences. Since they began, the Capitol Steps have recorded more than 35 albums, including their latest Mock the Vote. They've been featured on NBC, CBS, ABC and PBS, and can be heard twice a year on National Public Radio stations nationwide during their Politics Takes a Holiday radio special.